First thoughts and ideas on how a possible Energy-self-sufficient house for the Solar Decathlon competition could look like were already born in 2011. 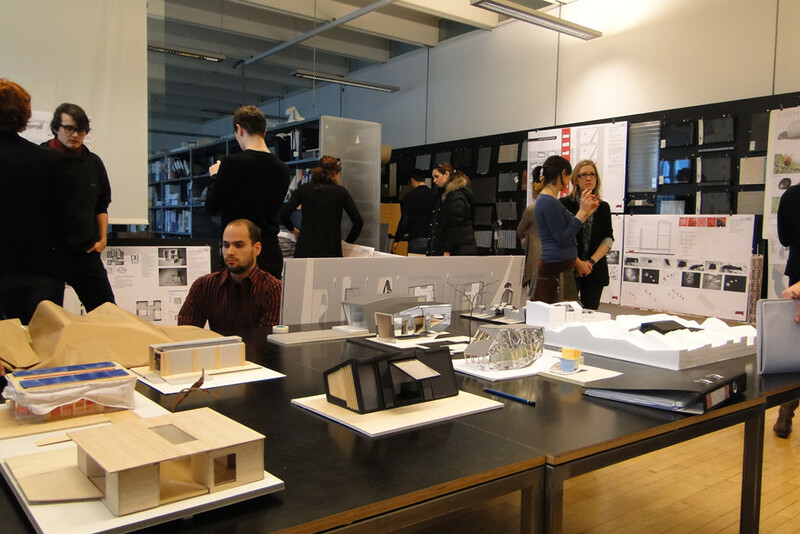 Over a period of 5 months, a group of approximately 25 students from the Vienna University of Technology worked on several building prototypes exploring its various options. Dubbed with the title “The Future of Living”, the semester was kicked off with a deep analysis of how humans lived in the past as opposed to how they live today and most importantly how living may look like in the near future. During this stage of the design phase, it was crucial to take as much freedom as possible to really drive innovation and new concepts, though always keeping the Solar Decathlon, along with its requirements such as transport from Austria to the U.S., in mind. Students not only analyzed past Solar Decathlon houses, they also obtained their inspiration from studying new materials and solar architecture independent of the Decathlon. The challenge during the entire semester was definitely the house’s square footage. This meant incorporating rooms that adapt to the residents needs, depending on the current activity or time of the day. Instead of trying to fit users into predefined archetypes of solar energy+ homes, the students tried to develop houses forming around its users. After some time, a possible scenario was established for who might live in our solar house; namely a young childless professional couple with a desire for their own house. This quickly led to a wide spread problem many western cities face today: urban sprawl. The students of the Vienna UT therefore set their own goal of creating a home that, when multiplied, can be easily adapted to achieve a higher density in residents. This can be both vertical as well as horizontal densification. Taking this thought further meant looking at new ways of dealing with relationships like ‘interior vs. exterior’ or examining the meaning of words like ‘living room’ and ‘bedroom’ and how these definitions are interchangeable. Every small workgroup chose a theme or topic which their house laid its specific focus on. The workshop ended with numerous house concepts that, when joined together in their ideas, ultimately led to the LISI house we know today.